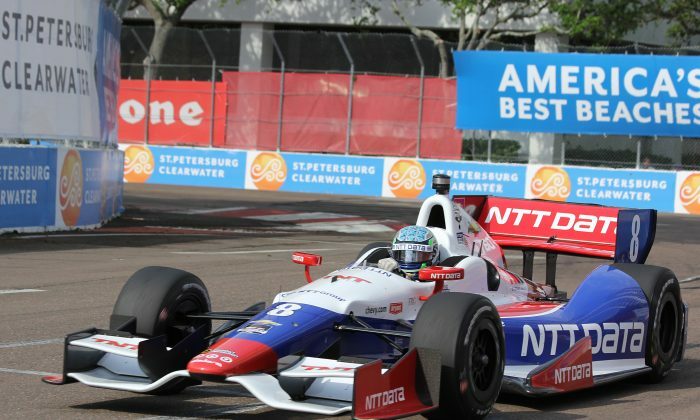 ST. PETERSBURG, Fla.—Despite high winds and a track washed green by overnight rains, Ryan Briscoe in the Chevy-powered #8 NTT Data Chip Ganassi Racing Dallara turned in the fastest time of the weekend in Saturday’s pre-qualifying practice session for IndyCar’s Firestone Grand Prix of St. Petersburg. Briscoe, who won the event in 2009, lapped the 1.8-mile, 14-turn temporary street course in 1:02.4236 at 103.807 mph—not quite as quick as Will Power’s 2013 pole-winning lap of 1.01.2070 but plenty quick considering the track and the weather. While the weather worked to slow the cars, the engineers must have been making huge strides to speed them up as the top five finishers were quicker than anyone had been on Friday. 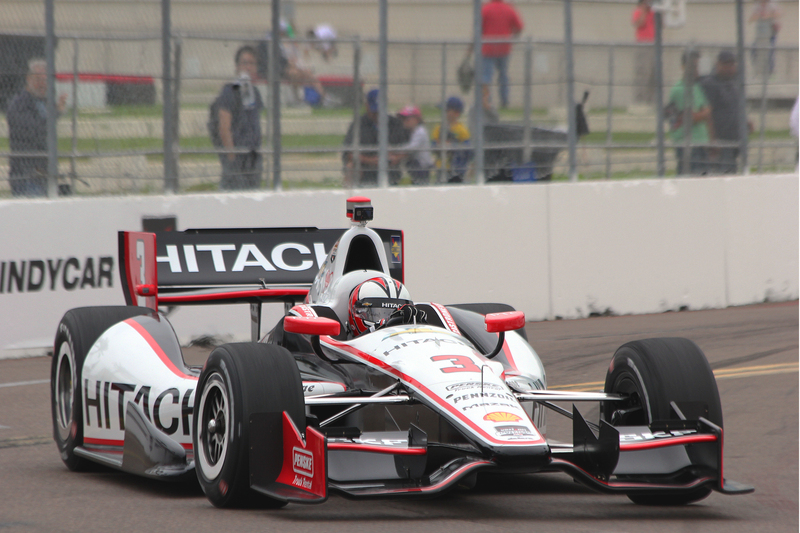 Second in the session was Hitachi Team Penkse driver Helio Castroneves. Castroneves has won this event three times in its ten-year history, so it was no surprise when he delivered a lap of 1:02.4730 at 103.725 mph, only five hundredths slower than Briscoe, a former teammate. 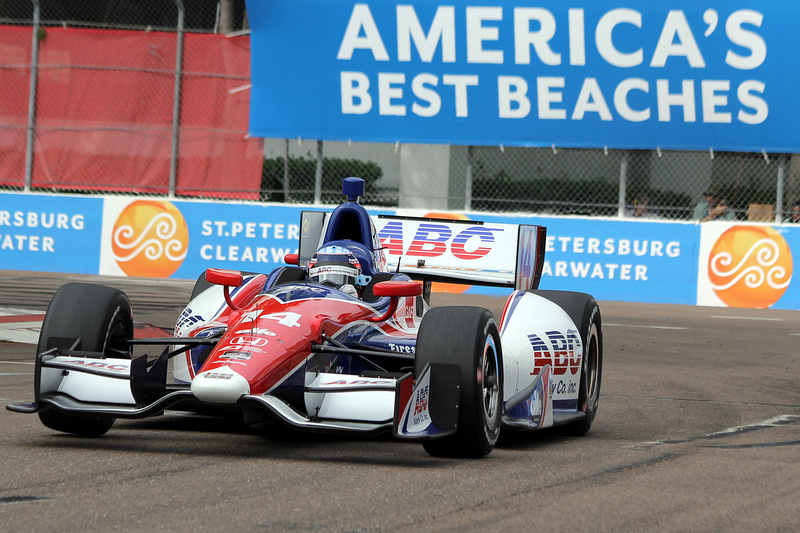 Takuma Sato was quickest Friday afternoon in the #14 ABC Supply/A.J. Foyt Racing car, and his best Saturday lap of 01:02.5243 at 103.640 mph was even quicker, but only good enough for third in Saturday’s session. Sato’s was the sole Honda-powered car in the top five. Sebastian Bourdais in the #11 Mistic/Hydroxycut KVSH Racing Dallara-Chevrolet and Will Power in the #12 Verizon Team Penske Dallara-Chevrolet filled out the top five. Severe weather enveloped St. Pete an hour after the session ended, forcing event organizers to put everything on hold. Qualifying could still happen, but radar images pretty much squelch any reasonable hope. If the cars cannot qualify, they will be gridded according to 2013 championship points which will put Scott Dixon in the #9 Target Chip Ganassi Racing Dallara-Chevrolet on the pole.